We missed out on salvaged quartersawn oak floors on Don’s pre-ThanksgivingÂ Chicago salvage run (at $3 or $4/square foot) or plainsawn oak for $2.50 plus $300 for delivery. Fear not, we wound up with 1800 square feet of clear grade salvageÂ oak for $1.60/square foot from Dallas instead.Â We bought the flooring Saturday after Thanksgiving when we were visiting family there. Some largish amount is quartersawn, although his picture (left, below) is of plainsawn. 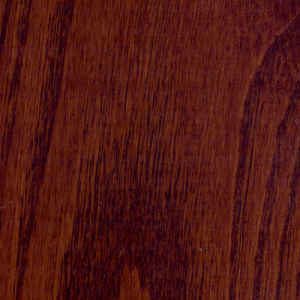 (I think I will be picking out quartersawn for the living room.) Denailed and bundled. (Sanded once.) We don’t need* it all, but I bet we can find homes for it. In fact, our gardening neighbor has already said he could use some of it during his kitchen remodel, and our painter has a place for some of it, too. We did have to ask the current owners if we could store it at the house that we don’t yet own since the salvage came in Monday — we would have (owned the house, that is), but for the delay in closing. Plus, the Dallas guy delivered it to Fayetteville for the price of gas (and without sales tax). Woo-hoo! Like the floor guy in Chicago, this guy usually only salvages if he has a client waiting to buy. (Mini trend: The big market in salvage floors is for maple, these days.) I think he is watching for oak trim for us now. We’re also getting a short pedestal tub and 130 feet of marble baseboard with plinth blocks. Why? Because we can. I think the marble is rojo alicante, and Don thinks it may be a good match for an Eastlake marble fireplace surround we salvaged from a Chicago north suburb — it was intended for our Kensington house, but we didn’t get that far. The tub is intended for one of our downstairs bathrooms, and the marble probably is, too. Unless it goes in the foyer with the marble surround. Or maybe the fireplace goes in the bathroom. *** I spent a while over the last week trying to persuade Don that we should take out the perfectly good staircase, and replace it with a beautiful one from Indiana. I wonder if he’d go for it if our Kensington house ever becomes available for salvage. This entry was posted on Wednesday, December 5th, 2007 at 12:11 pm	and is filed under Bathroom, quartersawn oak, Salvage. You can follow any responses to this entry through the RSS 2.0 feed. You can leave a response, or trackback from your own site. A perfect response! “Because we can”. LOVE it! Great find on the flooring . . . and what a great price! I hope when we hit that stage we are as lucky.